Ten-man Penicuik struck at the death to salvage a point against high-flying Broxburn. Zander Miller opened the scoring for the visitors but they were denied victory by Gary Hamilton’s late intervention. It was an invaluable contribution for the substitute whose effort moved Penicuik to second in the Superleague and halted a Broxburn run of four straight wins, scoring 20 goals in the process. Credit must go to the magnificent effort by committee members and volunteers who battled to repair the pitch and ensure the game went ahead. However, they could have been forgiven for thinking it was not going to be their day as Broxburn started brighter and opened the scoring after just eight minutes. Miller drove into the box and, despite keeper Allison’s best efforts, the ball nestled into the top corner of the net. Penicuik’s response was positive with only the woodwork denying the Midlothian outfit on two separate occasions; firstly Jamieson’s powerful effort, before MacDonald was also inches away from an equaliser with an excellent 30-yard strike. At the other end, Richardson fluffed a great chance to double the lead before Kateleza’s shot went well wide of the goal in a pulsating encounter. Penicuik piled on the pressure after the interval in search of an equaliser. Jamieson had a chance but his effort was comfortably saved by Wallace. Johnny Harvey’s men’s task was made all the more difficult when Young picked up his second yellow and was sent off on 58 minutes but Penicuik plugged away. A corner found Connolly at the edge of the box but his driven shot flashed inches wide with just ten minutes left. 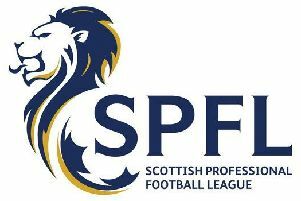 They were to be given a lifeline when Broxburn goalscorer Miller was sent off by referee StewartLuke for a second bookable offence, forcing the visitors to retreat. Penicuik threw everything at Broxburn, who looked to have held out, until the 93rd minute when a partially-cleared corner fell to Hamilton, who drilled the ball low into the net to send the home fans into raptures and seal a thoroughly deserved point.